A Group 3 Jaguar E-type competing in the 1963 Nurburgring 1000. Regulations for Grand Touring Car racing were first defined when the FIA issued "Appendix J" for Touring Cars and GT Cars in 1954. The term Group 3 was in use by 1957 and by 1960 a minimum production of 100 units  in 12 consecutive months was required to allow homologation into Group 3. An FIA GT Cup  was instituted in 1960  and the GT category was featuring prominently in most rounds of the World Sports Car Championship. For 1962 the FIA replaced the World Sports Car Championship with an International Championship for GT Manufacturers, the new title being awarded each year through to 1965. The FIA introduced a new Group 3 Grand Touring Car category in 1966 as part of a major revision of the Appendix J regulations. :613 The production minimum required for Group 3 homologation was raised to 500 units and models such as the Ferrari 250 GTO and Porsche 904 were reclassified to the new Group 4 Sports Car category with its lower 50 unit minimum. :616 The International Championship for GT Manufacturers was discontinued for 1966 and replaced by the International Championship for Sports Cars. GT cars were eligible to compete with the Group 4 cars in rounds of the International Championship for Sports Cars in 1966 and 1967 and then in the new International Championship for Makes with Group 4 Sports Cars and Group 6 Prototype-Sports Cars in 1968 and 1969. 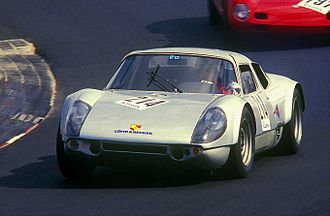 An International Cup for GT Cars was contested concurrently with the Makes Championship from 1968. The creation of a new Group 4 Special Grand Touring Car category in 1970 saw Group 3 renamed as Series Production Grand Touring Cars and the minimum production requirement increased to 1000 units. Group 4, which allowed a greater degree of modification to the competing vehicles, had its minimum production requirement set at 500 units. 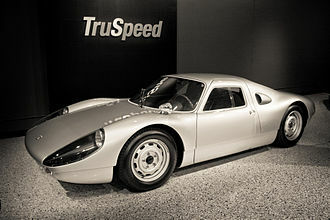 Both GT categories were eligible to compete in the International Championship for Makes and then, from 1972, in the renamed World Championship of Makes. The International Cup for GT Cars also continued. In 1976 the World Championship of Makes was restricted to production derived cars (FIA Groups 1 to 5) and the International Cup for GT Cars was discontinued in that year. The Group 3 Series Production Grand Touring Car category remained valid through to 1981 with the FIA introducing a new Group B Grand Touring car category the following year. In rallying, there were classes for Group 1, Group 2, Group 3 and Group 4 cars. The Lancia Beta Coupe, was homologated into both Group 3 and Group 4, with the Group 3 car running the mass-produced 8-valve engine, and the Group 4 version running the more powerful 16-valve. Group 5 was an FIA motor racing classification which was applied to four distinct categories during the years 1966 to 1982. Initially Group 5 regulations defined a Special Touring Car category and from 1970 to 1971 the classification was applied to limited production Sports Cars restricted to 5 litre engine capacity. The Group 5 Sports Car category was redefined in 1972 to exclude the production requirement. From 1976 to 1982 Group 5 was for Special Production Cars, in 1966 the FIA introduced a number of new racing categories including one for highly modified touring cars, officially known as Group 5 Special Touring Cars. The regulations permitted vehicle modifications beyond those allowed in the concurrent Group 1, Group 5 regulations were adopted for the British Saloon Car Championship from 1966 and for the European Touring Car Championship from 1968. The Special Touring Cars category was discontinued after the 1969 season, for the 1970 season, the FIA applied the Group 5 classification to the Sports Car class which had previously been known as Group 4 Sports Cars. The minimum production requirement remained at 25 and the engine capacity maximum at 5 litres as had applied in the superseded Group 4, Group 5 Sports Cars contested the FIAs International Championship for Makes in 1970 &1971, alongside the 3 litre Group 6 Prototype Sports Cars. Surprisingly, Ferrari decided to give up any official effort with the 512 in order to prepare for the new 1972 season regulations. But many 512s were still raced by teams, most of them converted to M specification.5 atmo engine formula. This targeted existing cars like the aging Ford GT40 and the newer Lola T70 coupe and this was mainly to allow the homologation in Group 4 of cars such as the Ferrari 250 LM and the Lola T70 which had not been manufactured in sufficient quantities to qualify. Starting in July 1968, Porsche made a surprising and very expensive effort to take advantage of this rule, other ways of weight reduction were rather simple, like a gear lever knob made of Balsa wood. When Porsche was first visited by the CSI inspectors only three cars were completed, while 18 were being assembled and seven additional sets of parts were present. The Group 4 racing class referred to regulations for cars in sportscar racing, GT racing and rallying, as regulated by the FIA. The Group 4 class was replaced by Group B for the 1983 season, prior to 1966, the FIA’s Group 4 classification applied to Sports Cars which were in compliance with FIA Appendix C regulations. 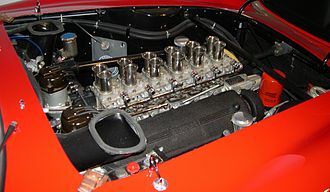 A 5000cc engine capacity limit was applied for 1968 and the production requirement was reduced to 25 units for the 1969 season. For 1969, Appendix J of the FIA International Sporting Code defined groups for Touring cars, Grand Touring cars, in 1966 and 1967 the Group 4 Sports Cars played a supporting role to the Group 6 prototypes. While prototypes like the 7. 0L Ford GT40 Mk II & Mk IV raced for outright victories, in 1968, the rules were changed, so that prototypes were limited to 3. 0L, but Sports cars of up to 5. 0L could be still be entered. It was announced that the minimum production figure for the Group 4 sports cars would be reduced to 25 cars for 1969, with larger engines than the prototypes, the Group 4 cars were now in contention for outright race wins. 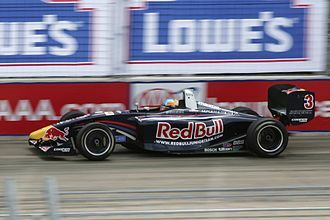 FIA Formula 4, called FIA F4, is an open-wheel racing car category intended for junior drivers. There is no championship, but rather individual nations or regions can host their own championships in compliance with a universal set of rules. 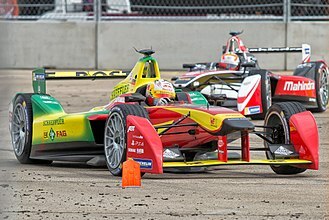 The series is a part of the FIA Global Pathway, the FIA-endorsed category was formally created in March 2013, when it was approved by the World Motor Sport Council. 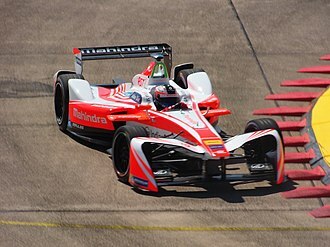 The first Formula 4 championships started in 2014 as a category before the regulations were opened up to multiple chassis. The engines are equalised so that no one Formula 4 championship is faster than the others, to become an eligible FIA Formula 4, the chassis must meet the FIA homologation requirements respecting technical and commercial regulations. Four chassis manufacturers have been approved by the FIA, Mygale, Dome, to become an eligible FIA Formula 4 engine, the engine must meet the homologation requirements. According to the requirements a FIA Formula 4 engine must last at least 10,000 km and have a maximum purchasing price of €9,500. According to the FIA Formula 4 technical regulations only four engines are allowed. Both normally aspirated and turbocharged engines are permitted, the power output has been maximized at 160hp. Currently four engines are homologated for use in the FIA Formula 4 and these championships are held to Formula 4 regulations and approved by the FIA as the national Formula 4 series. Drivers participating in series can receive FIA Super Licence points. The French F4 Championship is a Formula Renault series, aimed at young drivers graduating from karting. The championship uses Formula Renault 1.6 Signatech cars, an entry level category, the Formula STCC Nordic will debut in 2016, replacing the Formula Renault 1.6 Nordic. The Formula 4 Sudamericana is a Formula 4 racing class that debuted in 2014, the class uses the same Signatech chassis and Fiat engines used previously in the Brazilian-based Formula Future Fiat. Japan Formula 4 is a racing series in Japan. The series was founded in 1993 by the Japan Automobile Federation as a class between the FJ1600 series and the All-Japan Formula Three Championship, japanese Formula 4 is an open formula, where competitors can choose the chassis and engine manufacturers. Group C was a category of motorsport, introduced by the FIA in 1982 for sports car racing, along with Group A for touring cars and Group B for GTs. It was designed to replace both Group 5 Special Production Cars and Group 6 Two Seater Racing Cars, Group C was used in the FIAs World Endurance Championship, World Sports-Prototype Championship, World Sportscar Championship and in the European Endurance Championship. It was used for sports car racing series around the globe. The final year for the class came in 1993, broadly similar rules were used in the North American IMSA Grand Touring Prototype series. The roots of the Group C category lie in both FIA Group 6 and particularly in the GTP category introduced by the ACO at Le Mans in the mid-1970s. GTP was a class for roofed prototypes with certain dimensional restrictions, the FIA applied the same concept in its Group C rules. It limited cars to a weight of 800 kg and a maximum fuel capacity of 100 litres. With competitors restricted to five refueling stops within a 1000 kilometer distance, engines had to be from a recognized manufacturer which had cars homologated in the FIAs Group A Touring Car or Group B GT Car categories. With the new rules, it was possible for large naturally aspirated engines to compete with small forced induction engines. 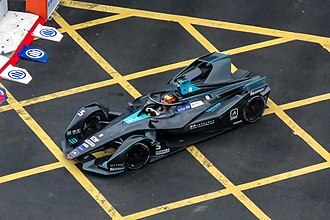 In addition, all races were to be contested over at least 1000 km — usually lasting more than six hours — so it was possible to emphasize the aspect of the competition as well. 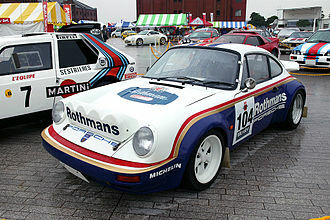 Ford and Porsche were the first constructors to join the series, the traditional turbocharged boxer engine in the 956 was already tested in the 1981 version of the Group 6936. 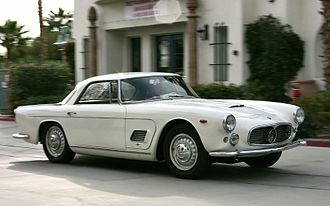 Eventually, several other joined the series, including Lancia, Mercedes, Toyota, Mazda. Many of these took part in the IMSA championship, as its GTP class had similar regulations. With costs increasing, the FIA introduced a new Group C Junior class for 1983 and this was intended for privateer teams and small manufacturers and it limited cars to a minimum weight of 700 kg and a maximum fuel capacity of 55 liters. With competitors limited to five refueling stops within a 1000 kilometer distance, as in Group C, engines had to be from a recognized manufacturer which had cars homologated in Group A or Group B. An Unimog U500 built to Group T4 specifications in the 2006 Dakar Rally. Kamaz 4326 in the 2006 Dakar Rally. A Hino Ranger at the 2007 Tokyo Motor Show. A Ginaf X2222 at the 2011 Dakar Rally.